The motorcycles and tools have been packed away after the MotoGP post-season test at Valencia. Supercross is still more than a month away. Even the one-off races, like Macau and Baja are run. Now is the winter of our discontent, for motorcycle racing fans. There's time on our hands. Time to sift through the past season's stats for what meaning we may find. The 2014 season once again showed there are four aliens, capable of winning races, and a field of mere humans who are left to fight for a spot on the podium. The aliens, of course, are repeat champ Marc Márquez and Dani Pedrosa on the factory Hondas, and Jorge Lorenzo and Valentino Rossi on the factory Yamahas. Debating whether someone else could win on one of those four bikes is a chicken-and-egg conundrum. Do they win because they have the four bikes capable of winning a dry race, or do they have those bikes because they're capable of winning? Both, really. Either way, the results are clear. Over the past two seasons, since Márquez moved up to MotoGP, those four have won all 36 races, with Márquez winning just over half of them, at 19. That's the obvious part, so now here's the trivia question: Who was the only other rider to record the fastest lap in a race in 2014? Put your answer in the comments section. Then answer this bonus question: Why did that rider crash and throw away his chance to win the race? Give us the most entertaining, creative or hilarious explanation and we'll give you some ZLA swag. Charlie Aussiefan: "Yeah, so Márquez won 13 and Mick won 12, but Mick won 12 in 15 races, not 18." José Motofanático: "Yes, but Doohan beat Alex Criville, Nobuatsu Aoki and Tadayuki Okada. 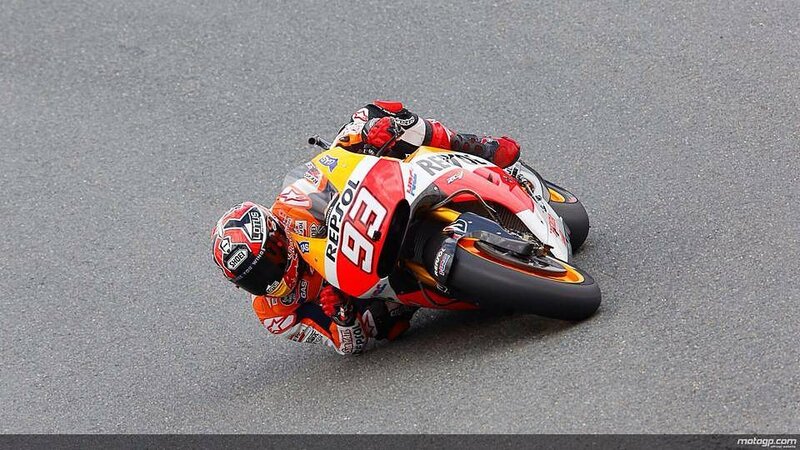 Marc beat Valentino Rossi, Dani Pedrosa, and Jorge Lorenzo. Tougher competition!" Aussiefan: "Yeah, well put the little Spanish guy on a 500cc two-stroke with a light-switch throttle and no traction control, break his right ankle so he can't use his foot for the brake, and then see how he does!" And so it degenerates from there. It can go on like that forever: Giacomo Agostini won 30 consecutive grands prix in which he competed (but he had vastly superior equipment), Rossi is the greatest because he won on two-strokes and electronics-tamed four-strokes (but he couldn't win on a Ducati, like Casey Stoner), and what about Mike Hailwood? All this proves, in the end, is that comparisons across eras are pointless. I wrote a couple of times (some might say too many times) about the quick and unexpected disappearance of U.S. riders from the MotoGP circuit this year. I'm no jingoistic fan, cheering for certain riders just because they have the same color passport as me, and I'm not going to emulate a certain website in the frozen tundra of the Midwest that's still nursing a grudge against Dani Pedrosa because of that incident back in 2006. 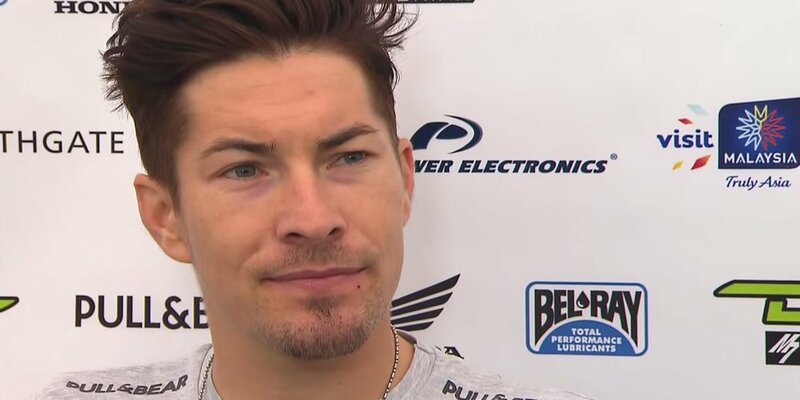 I do, however, think it was newsworthy that the country that dominated grand prix motorcycle racing in the days of Rainey, Lawson and Schwantz was totally absent from the grid for a few races in 2014, after Colin Edwards in MotoGP and Josh Herrin in Moto2 were dumped by their teams mid-season, and Nicky Hayden was sidelined for yet more surgery. Both Edwards and Herrin were done in by teammates who proved the bike could be ridden a lot faster: Aleix Espargaró at Forward Racing and Johann Zarco at Caterham. Both Herrin and Zarco had disastrous starts to the season, but Zarco turned it around and finished on the podium four times, while Herrin rarely cracked the top 20. That sort of underperformance relative to a teammate on the same bike leads to desperate measures. But objectively, what did the teams gain by taking the unusual step of sacking a rider mid-season? Let's go to the stats. It's notable that neither replacement rider was able to finish any better than the rider he replaced. In Edwards' case, were the few extra points de Angelis scored worth the sour publicity of booting a popular former world champion in the middle of his farewell tour? Personally, I doubt it. What do you think?